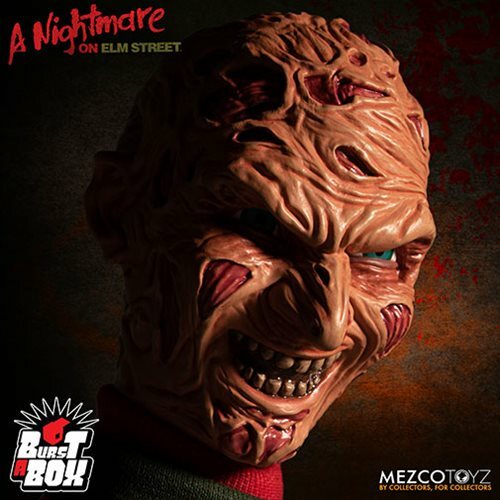 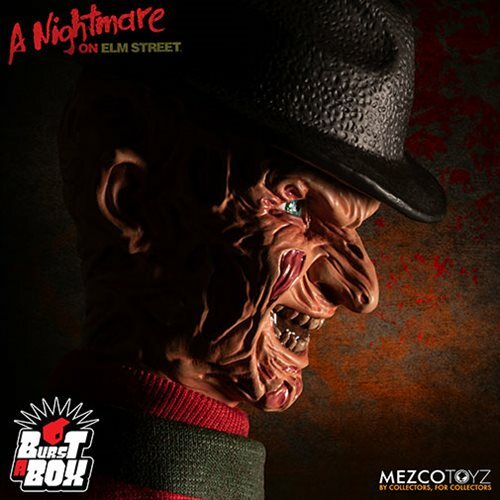 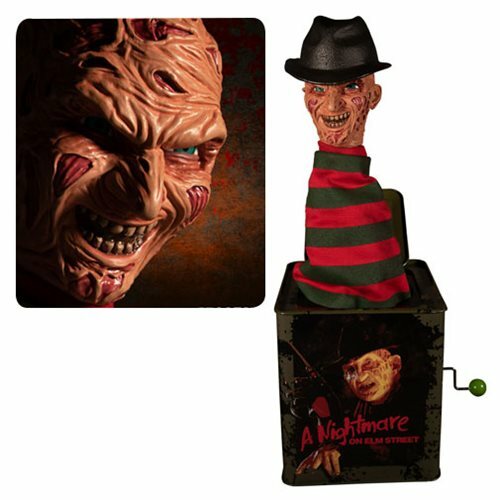 The dream-haunting Elm Street slasher is back with the Nightmare on Elm Street Freddy Krueger Jack-in-the-Box! 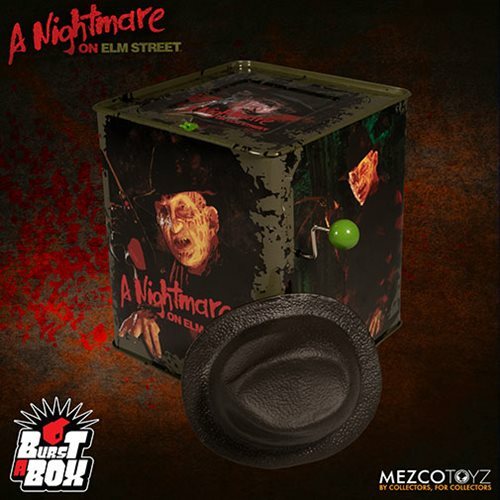 This fully functioning jack-in-the-box is approximately 14-inches tall when "popped". 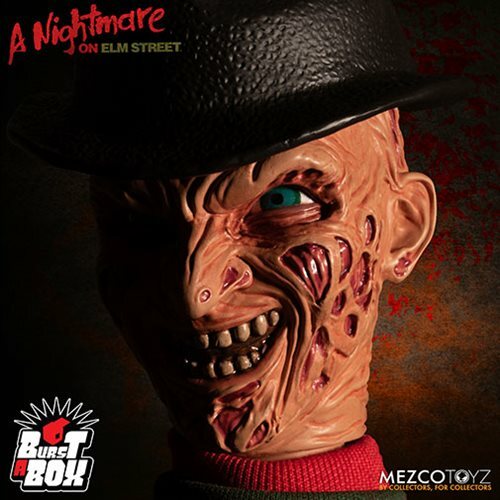 The Burst-A-Box features a detailed head sculpt and a clothed spring body, all encased in a tin music box. 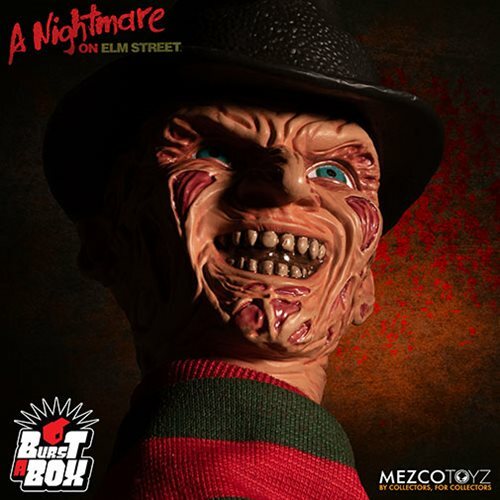 Designed after his appearance in the film, Freddy features a devilish grin and wears his infamous striped sweater with a removable fedora that he can wear when popped out of his tin. 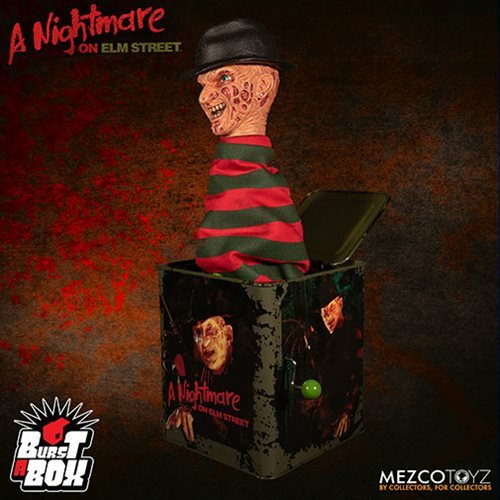 Nightmare on Elm Street Freddy Krueger Jack-in-the-Box comes packaged popped-out of his tin and perfect for display in a collector-friendly window box.